KANSAS CITY, MO. 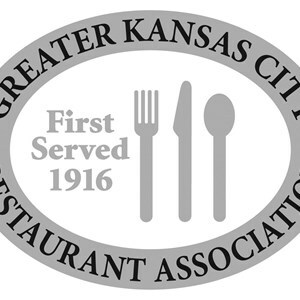 (Nov. 14, 2018) – The Greater Kansas City Restaurant Association (GKCRA) announces the Restaurateurs of the Year are Mike and David VanNoy of Jess & Jim’s Steakhouse and RC’s Restaurant and the Company of the Year is Standard Beverage Corporation. These esteemed awards are the highest honors a member can receive from the GKCRA. The Restaurateur of the Year and Company of the Year honors are presented at the Inaugural Gala on January 25, 2019 at the Kansas City Marriott Downtown. The event celebrates the individuals and businesses making an impact in the Kansas City restaurant industry. Mike and David VanNoy own Jess & Jim’s Steakhouse and RC’s Restaurant in Martin City, Missouri. Jess & Jim’s Steakhouse was founded by two best friends, Jess Kincaid and Jim Wright, in 1938. It has occupied its current location since the mid-1950s and has been named one of the best steakhouses in the world. After starting a family, Jess left the business and Jim hired his cousin R.C. VanNoy. In 1973, R.C. opened the family’s second restaurant, a fried chicken venture dubbed RC’s Restaurant and Lounge. In 1977, Jim turned over operations of the restaurants to R.C. and his family. For more than 80 years, the restaurant has remained in the VanNoy family and is currently owned by R.C.’s sons Mike and David VanNoy. The VanNoy’s work tirelessly on community service projects and the most notable is their efforts on the rebirth of downtown Martin City. For more information, visit www.jessandjims.com and www.rcschicken.com. Founded in 1948 by Sam Rudd, Standard Beverage Corporation is a leading distributor of fine wines, spirits and beer, and is the only large distributor that is Kansas owned. The Kansas City market is led by Ryan Thurlow. Standard Beverage has offices in Lawrence, Lenexa and Wichita, and employs more than 300 dedicated people and provides the most diverse portfolio of the industry’s best and most well-known brands. Standard Beverage is involved with philanthropy throughout Kansas, most notably is their continuous 16-year, exclusive wine, spirits and beer sponsorship of Treads & Threads which raises money for KU Medical Cancer Research. For more information, visit www.standardbeverage.com.